Please do not confuse new Long Range Composite Stock with the cheap, flimsy polypropylene stocks on off-the-shelf factory composites like the 700 SPS. 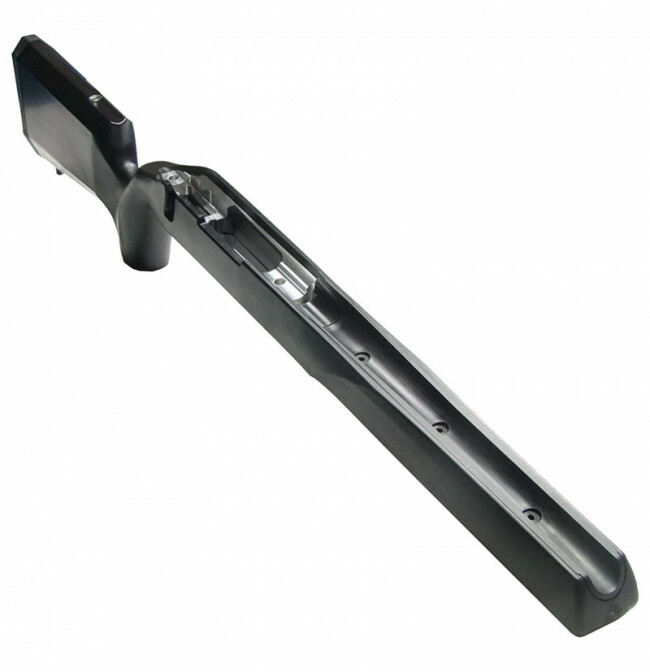 These are constructed from the stiffest, most durable 40% glass filled nylon, much like your Glock frame, with our famous aluminum Accublock® molded right into the stock from the start. Available for the Remington 700, long or short action, factory sporters or heavy barrels. "We also checked out Stocky’s impressive Long Range composite stocks. Very strong, and very rigid, these stocks feature a CNC-milled aluminum bedding block. These are a stunning value for just $199.99." Package Deal! Stocky's® Long Range Composite Stock with Wyatt's M4 Det-Mag! Cutting Edge Composite - not plastic: The composite material we use can easily be sanded, machined, modified, baked in an oven and otherwise finished as good or better than an epoxy based stock. We will be offering them not only in the base composite material as shown here, but have spent a great of deal of development effort into new finishing technology that we now offer in a variety of solid and spiderweb colors as well as camo and other patterns. I spoke with a operator at Stockys and she told about their new stock. I was apprehensive until I bolted to my action and was amazed it was rock Solid with no wiggle our flex. Today I was able to produce a 1/2 MOA group without having to glass bed the action. I was using match ammo and a bench, but the stock delivered the accuracy I was looking for at a great price. There is one problem. If you are looking to switch the trigger guard (bottom metal) you will not be able to use the Oberndorf. It will not close securely at any point. 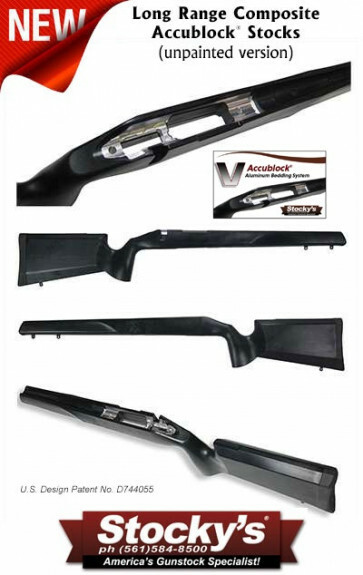 The Traditional and Tactical Trigger Assemblies will work fine with this stock. I highly suggest this stock to anyone looking to improve a factory Remington 700 or squeeze a little more out of it.